Her students have been winners in local, regional, national and international competitions. In recognition of her teaching, she received the Master Teacher Certificate from the Music Teachers National Association, and was awrded the title of Master Teacher by the American Music Scholarship Association. She was also elected by the Roosevelt University community as “The Outstanding Teacher of the Year”. A graduate of Ljlubljana Central Music School in Slovenia, she later advanced her studies as scholarship student of the legendary pianist Rudolph Ganz at the Chicago Musical Collge (now the Chicago College of Performing Arts at Roosevelt University) where she received a masters degree, and at Northwestern Univeristy where she earned a D.M.A. For twenty years she held the position of Chairperson of the Keyboard Department and currently holds the position of Professor of Piano. Dr. Lazar is a member of numerous professional organizations and is past President of the Society of American Musicians and of the Mu Phi Epsilon Fraternity, and is a member of the Artists, Composers, Musicologists, and Educators of the Mu Phi Epsilon. 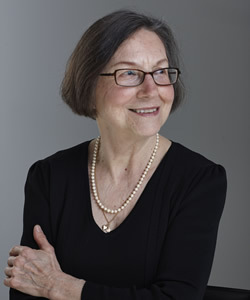 Dr. Lazar’s notable achievements have secured her a place of recognition with the American Keyboard Artists and the Who’s Who in the American Music World.